The Lounge Bar has comfy seating, quiet ambience and original artwork throughout. 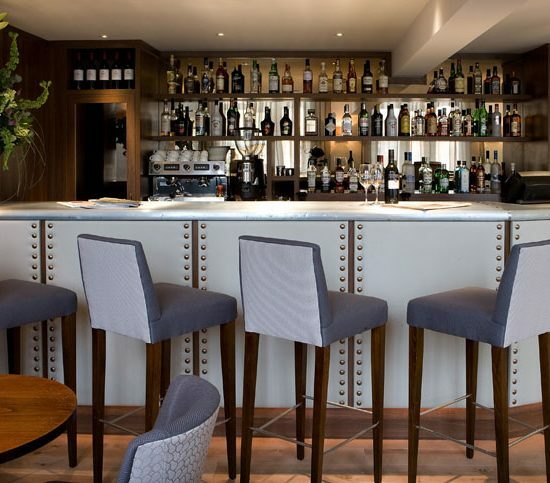 Our stylish and modern lounge bar provides a relaxed setting. Perfect for guests and diners alike to enjoy drinks and light meals throughout the day. It is renowned for being one of the best places to eat in Lincoln. Pop in next time you are having a stroll round the historic town. We are open to the general public and residents. The bar features table service, and breakfast, lunch and dinner are available throughout the week, except on Friday and Saturday nights. With it’s very own wine list and bar menu, the Lounge Bar provides the perfect setting for a quiet lunch or evening meal. All produce is locally sourced, and all dishes include fresh, seasonal ingredients. You really will receive a fine dining experience. See for yourself why we are one of the best places to eat in Lincoln. The bar menu includes light bites, platters to share, sandwiches, pizzas and mains. If you have a sweet tooth, not to worry – we can cater for you too! Ask us for our mouthwatering special sundae selection of the day. Alternatively, if you just fancy a perfectly brewed cup of coffee or tea after climbing Lincoln’s Steep Hill, drop in to one of the best places to eat in Lincoln!